You've heard of speed art? Featured on YouTube, speed art is quickly becoming the latest craze among graphic artists who create breathtaking photo realistic pictures fit for Academy Award winning movies. You've also heard of speed dating, speed chess, speed impersonations and speed reading. But have you heard of speed planning? Speed planning involves the use of a stop watch set to 15 minutes or so and a list of key planning questions required to brain storm ideas and determine how to implement them. Speed planning an event is similar but with the added feature of preparing the event within a relatively short period of time. In this case eight weeks or so. 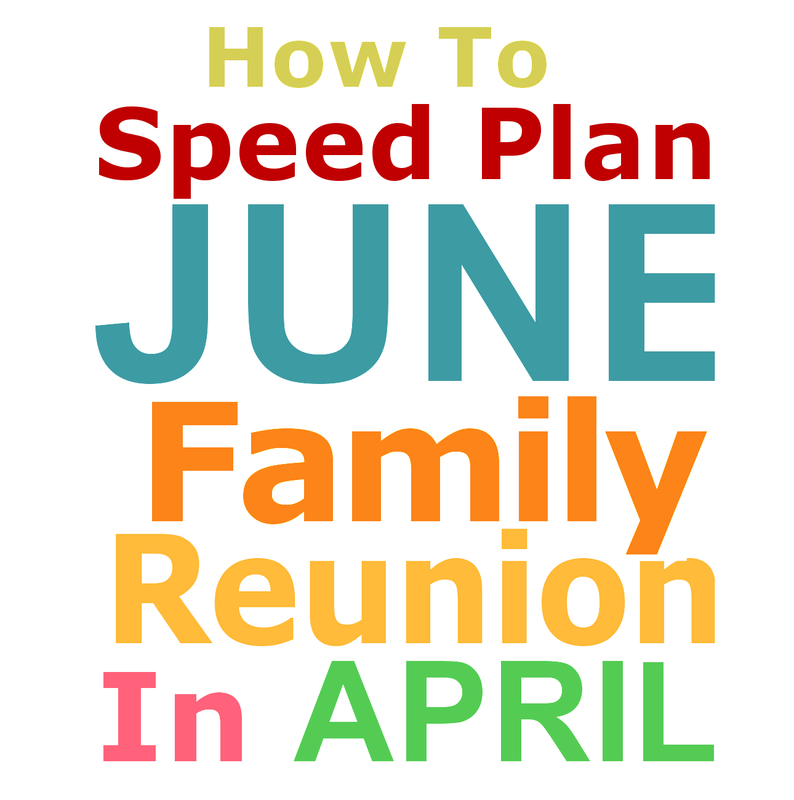 Last month we introduced how to speed plan a May Family reunion with only two months to prepare. Many of our readers loved the idea and have been following through with much success. Now with the month of April upon us it's time to speed plan a June family reunion. Answer these key speed planning questions to get your June reunion event up and running. What venue will you use? What event theme would you consider appropriate? What inspiring slogan would define the mission of the event? On what day and time should you schedule the event? Who need to get involved? What are the projected costs and fees associated with the event? When and how should the event be announced? For a step by step guide to planning your June reunion consult Fimark's Family Reunion Planner social web app and eBook. Click on the link in the profile section of this blog. So it's March and you're far behind planning your May Family reunion. What to do? First and foremost consider where you will hold the gathering. When it comes to planning a short notice event your location makes all the difference. This will determine the activities, and festivities. Here's a bullet list of great venues that do not require several months booking notice. Get everyone involved. Delegate, delegate, delegate. Keep it simple. Focus on having fun. Don't sweat the small stuff. 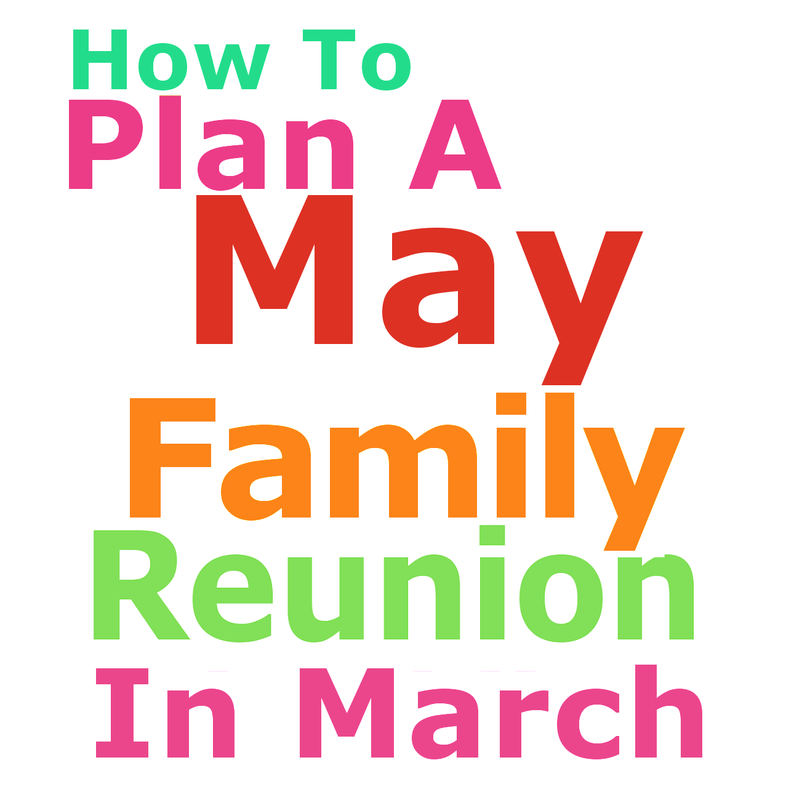 For a step by step guide that's ideal for planning your month of May reunion consult Fimark's Family Reunion Planner social web app and eBook. Click on the link in the profile section of this blog. It's Spring! Flowers are in bloom. Days are longer. It's time to take off that sweater and head outdoors for a fun filled family picnic at the park or big fat backyard BBQ. But, wait. Hold your horses and slow your roll! While thousands of families across America, Canada and the UK will be throwing mega out door feast fests this year, you don't want to move so fast that you miss those key elements that make a family reunion event the absolute bomb of family reunions. So what are the keys to enjoying family fun under the sun. 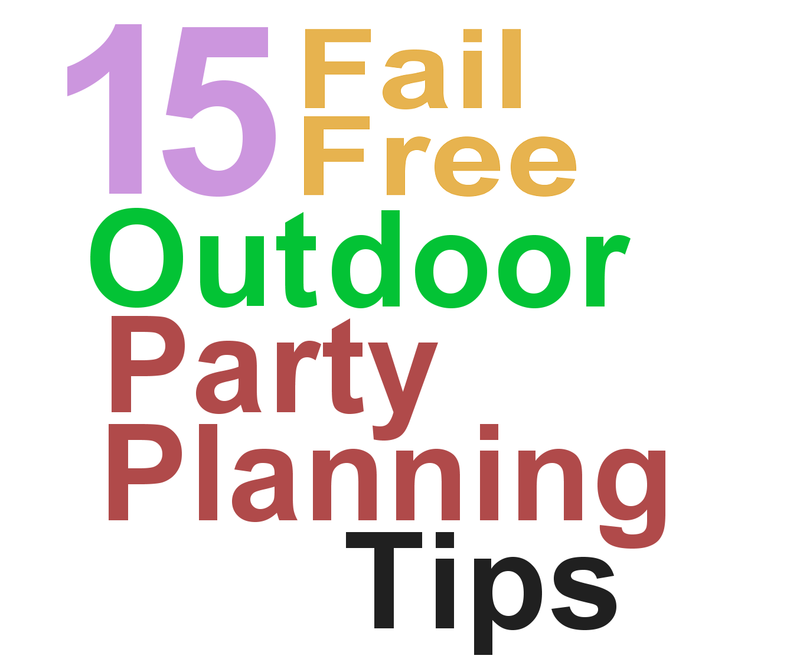 Presenting the 15 Keys to preparing a fail free outdoor event. are best)at the start of the event. 4. Start the event off on a very dignified warm note. 6. Keep the warm food warm and the cold foods cold. to observe and take pictures. 10. Give out honest and sincere commendation to all. hours drinking away from the family affair. 14. 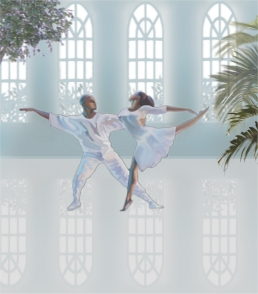 Keep an upbeat motivational and spiritual tone throughout the event. 15. Avoid overlooking anyone when making acknowledgments. When planning your out door party make use of a concise and detailed party planner that helps you plan, organize, manage a successful event no matter what the theme. Fimark's Family Reunion Planner Social web app does that and more. Click on the link in Profiles to get instant access. 12 Legendary Heritage Web Page Updates. Thanks to a recent phone call from a customer, who was anxiously trying to get to the Legendary Heritage Heirlooms family reunion web app with African American features, I immediately responded by updating 12 pages in order to make all current reunion planning and fund raiser apps, products and services more accessible to those wanting to share in this most honored tradition. Legendary Heritage Heirlooms is a resources for African american, black event planning tips, with tools and ideas for reunions, honorary ceremonies, culture fests, anniversaries, graduation and homecoming celebrations. Among the concerns was the inability to purchase Fimark's Family Reunion Planner for African American family reunions. After an extensive examination, to my surprise several eCommerce features needed to brought up-to-date. You will be happy to know that full functionality of our Legendary Heritage Heirlooms web site with family reunion planning products have been restored. You can now access our most valued event planning features such as the reunion planner checklist, itinerary template, luncheon/dinner template, 5 theme planner and loads of activity ideas with setup details now available for immediate download. Including are an enhanced line of colorful flyers, invitations and worksheets. In addition the web app has over 12 socially enabled features so you can conference from your desktop, laptop, tablet or phone and you can share, edit and update all documents and event planning spreadsheet and send invitations and takes surveys online. Raise funds for the event with the free fundraising web app, the t-shirt designer and online t-shirt selling web app. Setup your own personal free trial family reunion web site and start selling tickets to the event. Remember there is an interactive checklist feature that guides you through the planning process as well as the Family Reunion Planner eBook feature. While we are an international kaleidoscope of family reunion planners of all races, cultures and walks of life, we are honored to make available features that are as personable as possible to everyone including the honored tradition of African American family reunion planning. Visit Legendary Heritage Heirlooms and download the African American reunion planning web app at lhh.fimark.net. Happy Family Reunion Planning! 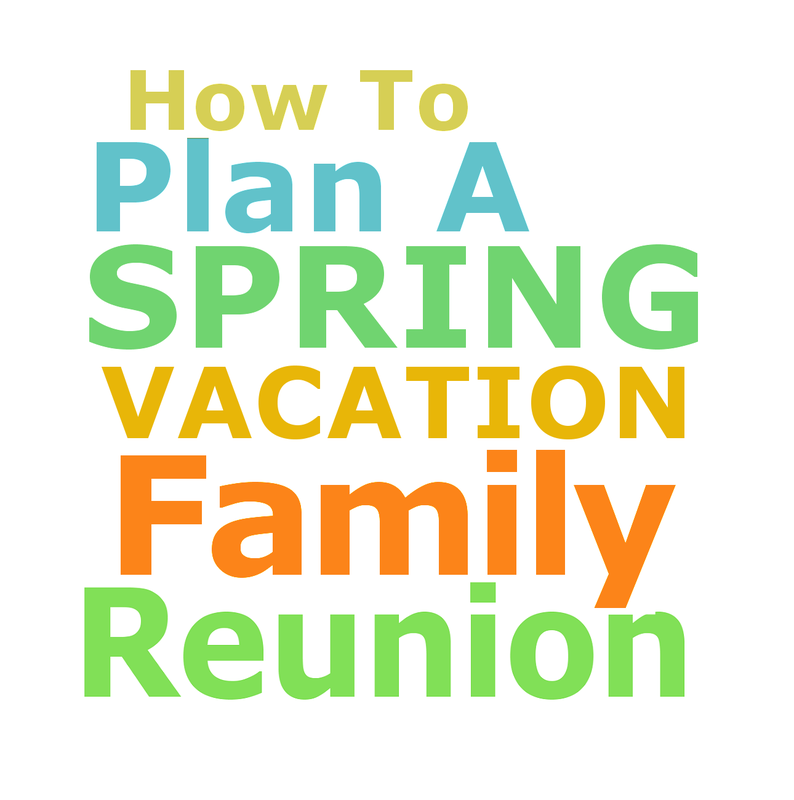 So you want to plan a Spring Vacation family reunion but don't know where to start or if you even have enough time to pull it off? 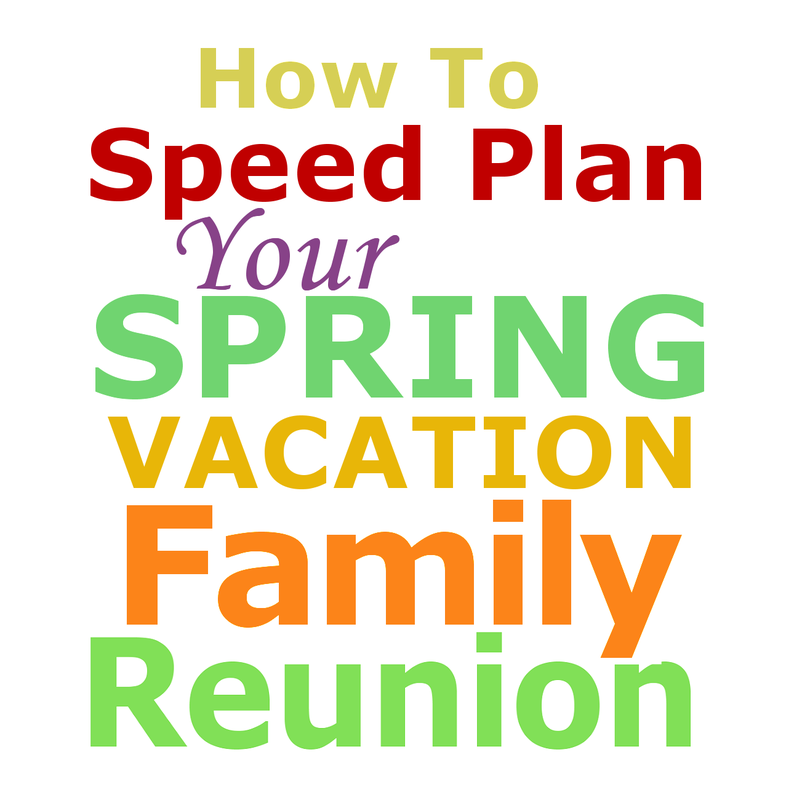 Be assured, many have speed planned spring vacation family reunions as early as the first week of March and enjoyed a successful event in April, May and early June. Just keep it simple and follow these speed planning instructions. Consult the community events calendar to find out what festivals, concerts and tours are featured during the month of your event. After discussing this with the family set the event date. 1. Determine your theme, mission and slogan. Get theme and slogan ideas at http://family-reunion-t-shirts.fimark.net. Get family reunion t-shirt design ideas at http://www.zazzle.com/zzibcnet*. 2. Delegate department heads and make sure everyone has what they need including materials and supplies. *Getting the departmental checklist and materials and supplies checklist. 3. Remind them of their responsibilities. *Downloading the department worksheets. 6. Send all family members directions to the event rendezvous via email or post mail. Have them follow a capable traveler. 7. Get help wrapping up your final tasks. No need to do it all yourself. Invite a couple of extra hands over and put in a long night completing tasks. 8. Give yourself a day off before and after the big event. *Download departmental checklist , materials and supplies checklists and reunion planning worksheets from Fimark's Complete Family Reunion Planner web app. Planning a family reunion in April, May or early June? For more speed planning and activity ideas for your spring/summer reunion look inside Fimark's Family Reunion Planner Social web app. Go to Profile to access the web app.